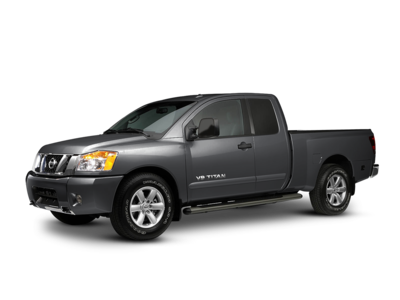 The 2016 Nissan Titan ranks tenth for Best Gas Mileage Diesel. Current inventory meeting this criteria averages 15,498 miles. Scroll down to see what's available in your area right now. Coming in at number 9 in our list of Best Gas Mileage Diesel is the 2016 GMC Canyon. Current inventory meeting this criteria averages 18,577 miles. Fuel economy is rated at 22 MPG combined. Scroll down to see what inventory is available in your area - hurry, before these great deals sell out! 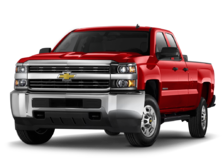 Ranking eigth for Best Gas Mileage Diesel is the 2016 Chevrolet Colorado. Current inventory meeting this criteria averages 19,353 miles. Fuel economy is rated at 22 MPG combined. Scroll down to see what inventory is available in your area - hurry, before these great deals sell out! Ranking seventh for Best Gas Mileage Diesel is the 2014 Jeep Grand Cherokee. Current inventory meeting this criteria averages 48,820 miles. The 2014 Grand Cherokee achieves a combined MPG figure of 25. Scroll down to see what's available in your area right now. Coming in at number 6 in our list of Best Gas Mileage Diesel is the 2015 BMW X5. Current inventory meeting this criteria averages 38,513 miles. The 2015 X5 achieves a combined MPG figure of 27. Take a look below to find the X5 in your area that suits you best! The 2014 BMW 5 Series ranks fifth for Best Gas Mileage Diesel. Current inventory meeting this criteria averages 41,201 miles. Fuel economy is rated at 30 MPG combined. Scroll down to see what's available in your area right now. Slotting in at fourth for Best Gas Mileage Diesel is the 2015 Volkswagen Passat. Current inventory meeting this criteria averages 29,520 miles. Fuel economy is rated at 34 MPG combined. Scroll down to see what's available in your area right now. Ranking third for Best Gas Mileage Diesel is the 2015 Volkswagen Golf. Current inventory meeting this criteria averages 27,371 miles. Fuel economy is rated at 36 MPG combined. Take a look below to find the Golf in your area that suits you best! Slotting in at second for Best Gas Mileage Diesel is the 2015 Volkswagen Jetta. Current inventory meeting this criteria averages 30,548 miles. The 2015 Jetta achieves a combined MPG figure of 36. Scroll down to see what's available in your area right now. Coming in at number 1 in our list of Best Gas Mileage Diesel is the 2014 BMW 3 Series. Current inventory meeting this criteria averages 39,507 miles. The 2014 3 Series achieves a combined MPG figure of 36. Scroll down to see what's available in your area right now.